Johnny English Strikes Again is getting ready to strike the states. And Olly Murs has released the music video for new single "Moves." The song appears on the film's soundtrack and features rapper Snoop Dogg. The music video sees Murs sneak into a fancy night club underdressed and looking rather nerdy. However, he meets Rowan Atkinson's undercover Johnny English at the bar who gives him a drink that changes his appearance, winning over a girl with his moves and new clothing. "Moves" was written by popstar Ed Sheeran and Steve Mac, and it's a slick pop song with hooks for days that is perfectly suited for the voice of Olly Murs. While Snoop Dogg is on the track, he only comes on for a bit during the intro and then again at the end of the song. The track is featured during the credits for the upcoming Johnny English Strikes Again, which is currently in U.K. theaters and coming to North America next week. Rowan Atkinson returns as the much-loved accidental secret agent in Johnny English Strikes Again. This time around, a cyber-attack reveals the identity of all active undercover agents in Britain, leading to the retired agents coming back to work to discover who is behind the attack. However, most of the retired agents are either dead or unable to take on the mission, leaving Johnny English to once again save the day. English's latest mission is his most difficult to date as he has to dive right into the action to find the mysterious hacker. In addition, English is out of his comfort zone with today's modern technology. Early reviews for Johnny English Strikes Again have been mixed, but there have been some favorable mentions, mostly noting that Rowan Atkinson is at his best when he's struggling with the technology of the day. Basically, you know what you're going to get at this point in time, especially since this is the third film in the franchise. 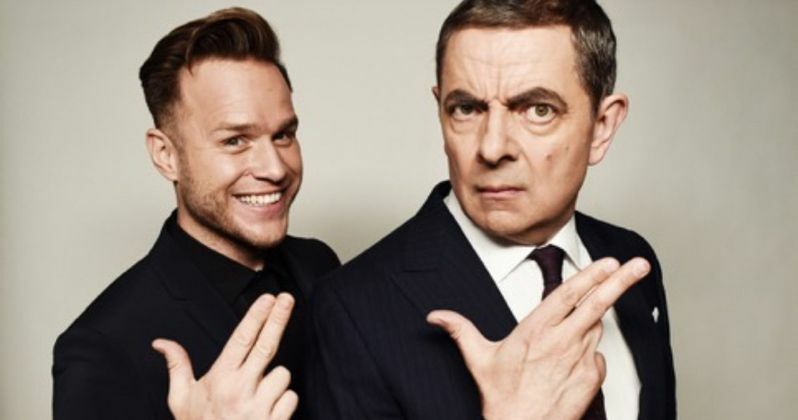 Atkinson has turned Johnny English into his own character, as opposed to just a straight spoof on the James Bond franchise, which is proven in the latest film. Atkinson is just as good in the Olly Murs music video, sitting back and making slightly exaggerated looks in his silent cameo and getting into some mischief. Johnny English Strikes Again Stars Rowan Atkinson, Olga Kurylenko, Ben Miller, Jake Lacy, and Emma Thompson. The sequel hits theaters on October 26th, after getting pushed back from the original release date at the end of September. The film is written by William Davies and produced by Atkinson. While the sequel has quite a few negative reviews, it has still managed to earn $82 million overseas and will more than likely get a bump when it's released in North America next week. Until then, you can check out the music video for the soundtrack below, thanks to the Olly Murs YouTube channel.